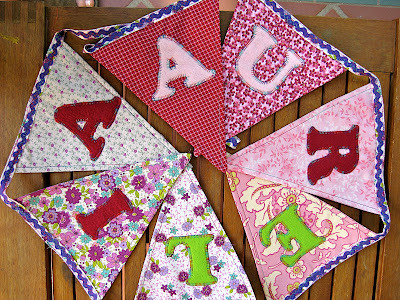 New bunting for a girl. I used my own bunting tutorial. This is so cute! These cost a fortune when buying them out, and this is handmade full of love and stitched with memories. Beautiful job! Thank you for sharing your wonderful blog and enthusiasm for quilting through it. Keep up the beautiful job!